Free Shipping Included! 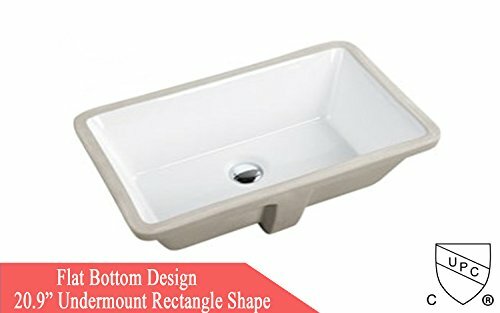 20.9 Inch Rectrangle Undermount Vitreous Ceramic Lavatory Vanity Bathroom Sink Pure White by generic at Wakaf Center. MPN: RP525P. Hurry! Limited time offer. Offer valid only while supplies last. Our Ceramic Rectangle Undermount Bathroom Sinks Are Our Most Luxurious Sinks Ever! It compatible with most wall-mount or countertop-mount faucets.